This page is under construction. Below is some basic info that we'll be expanding in coming months. 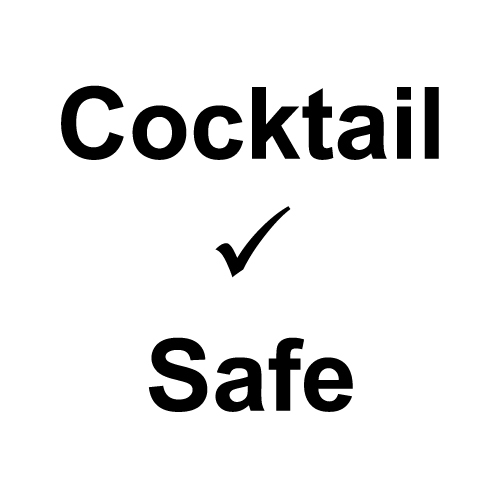 Subscribe to CocktailSafe content for updates when pages like this one are complete. Most leather is prepared (tanned) with chromium [link], which is toxic. Leather can also undergo vegetable tanning. Additionally, bartenders should follow guidelines for barrel-aged cocktails with regard to high-proof, spoilage, etc. of ingredients used. A distillery in Minneapolis was told to stop production on their leather-aged aquavit and consumers were advised not to drink it, as it contained non-food-grade leather [link][link]. "The department found that Norseman used a “non food grade tanned leather (animal hide), which is an unapproved food ingredient."